If you are interested in community experiences in Africa then a visit to Rubuguri Village is worth while you are on Uganda safari. Rubuguri community is situated between Rushaga and Nkuringo area the famous regions for mountain gorilla trekking tours in Bwindi National Park and given that mountain gorilla safaris are only complete when they are incorporated with cultural encounters, a visit to interact with community members in Rubuguri rewards travelers with authentic African experiences of lifetime. 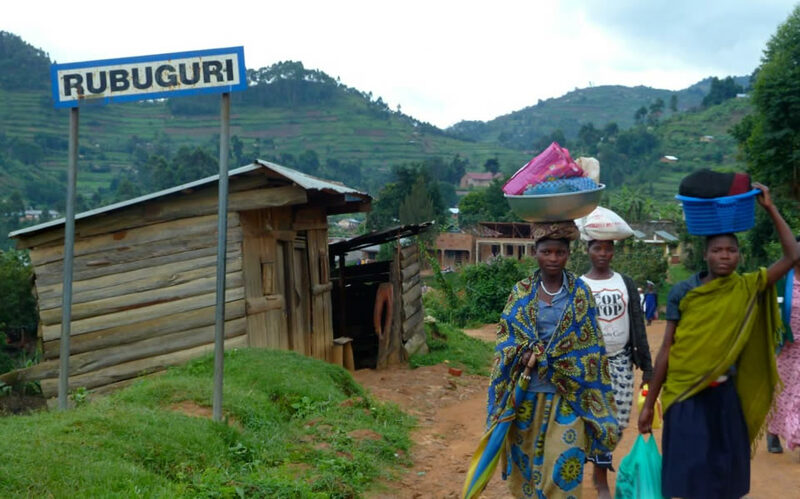 The village lies just at the lower base of Bwindi Impenetrate Forest and it is a settlement area to several residents. Community walk to this village is worth adding to your gorilla safaris in Uganda. The walk allows you to have a hand in craft making activities like basket weaving and above enjoy cultural experiences as you interact with the local residents, listen to their songs and cultural dances as they entertain you. You will be amazed by their tremendous dances that make the earth even vibrate. As you walk around the community, you will also pay a visit to one of the sounding schools that offers residents’ children opportunity to study-St Peters Primary School which features as one of the schools in Rubuguri that has made most of the pupils to meet their education needs and provided jobs to locals in areas of teaching and many more. Rubuguri village is accessible by road and it is bordered by most rolling hills. The community members will warmly welcome you to the village. The walk leads visitors past swamps to homesteads where you will meet local residents, explore more on their lifestyles, feeding, farming, travel and traditional meals. You will also have a chance to explore the black smith where iron smelting which dates back to the Stone Age times. You will come across tools such as machetes and knives as they are crafted. 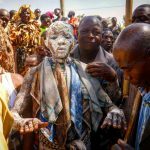 There is also tradition home experience where you will be led through several local huts with traditional tools such as the grinding stone, local waragi distilling apparatus and preparation pots. The village traditional healers will also be demonstrating to you how traditional plants are used to produce ointments, herbal powder and tea which are utilized in treating many ailments. The Nkuringo Community Conservation and Development Foundation (NCCDF) supports the community women via the head craft shops that made by locals and they are sold to tourists, the development trains orphans on how they can sing and perform before tourists at various lodges. You may also embark on Ruhija community walk which is also situated around Bwindi Forest, southwestern Uganda. While Bwindi is famous for mountain gorilla trekking, a cultural and nature walk around Ruhija also reward visitors with authentic African experiences of lifetime. You will have a chance to interact with the Batwa pygmies who lived in Bwindi Impenetrable Forest for over 500000 years while hunting and gathering but left without any negative environmental impact. You will certainly be amazed by their traditional dances and songs of sorrow as they appeal to be allowed to return to the jungles, catch a view at their huts, fire making and hunting techniques are incredibly the most dramatic cultural experiences not to be missed while on village walk in this community. The village walk lasts for 2 to 3 hours but this depends on your speed. Mutanda Eco Community Center, this is a small facility in southern shores of Lake Mutanda which is mainly credited for its comfortable accommodation that mainly feature camping facilities and food for travelers. Given its proximity to Bwindi National Park and Mgahinga National Park, the center is just 6 kilometer drive off Kisoro district in southwestern Uganda. There are eco lodges for you to retire after your adventures at the magnificent Lake Mutanda which is the most sought after site after mountain gorilla trekking adventures in Bwindi and Mgahinga National Park. You will have opportunity to engage in swimming, boat rides, village walks, bird watching, canoeing, entertained by traditional dances and dramas, handcraft making, nature walks, viewing and many more. If you are also interested in volunteer activities the centre also offers you that amazing chance to engage in volunteer activities like sensitizing and educating schools about conservation, teaching swimming lessons to community children or work at the health centers around and many more. 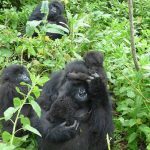 In conclusion, southwestern Uganda is not only famous for mountain gorilla trekking tours but also for cultural or community encounters that allow visitors to come in close interaction with locals. A visit to any of the above listed communities rewards travelers with true African experiences. For visitors on gorilla safari in Uganda, do not miss to include the above community walks or cultural experiences in your bucket list.